this dish shout-out goes to foodcraver.hk. 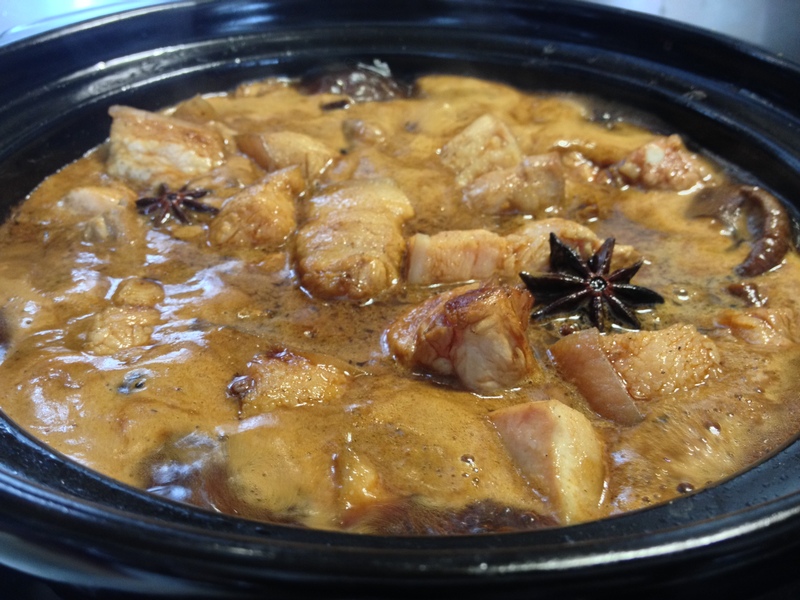 she wanted a pork belly recipe to go with her homemade tortillas… sounds yumolicious to us. if you haven’t visited her blog already, go check it out! here’s the link. 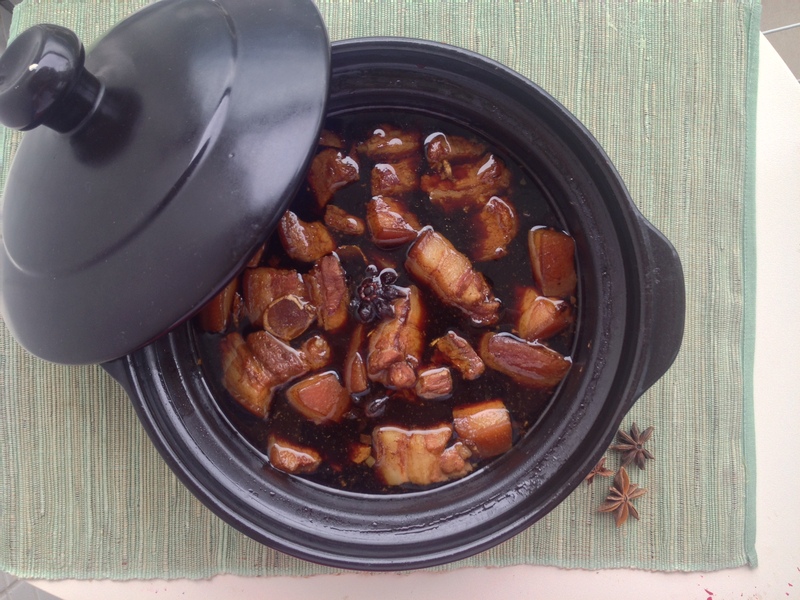 this is the second recipe we have for pork belly. it goes to show how much we love pork! it’s no coincidence that our logo is that of a pig’s head… oink! we recommend using a clay pot, it really helps retain the heat when simmering. but a regular pot works as well. 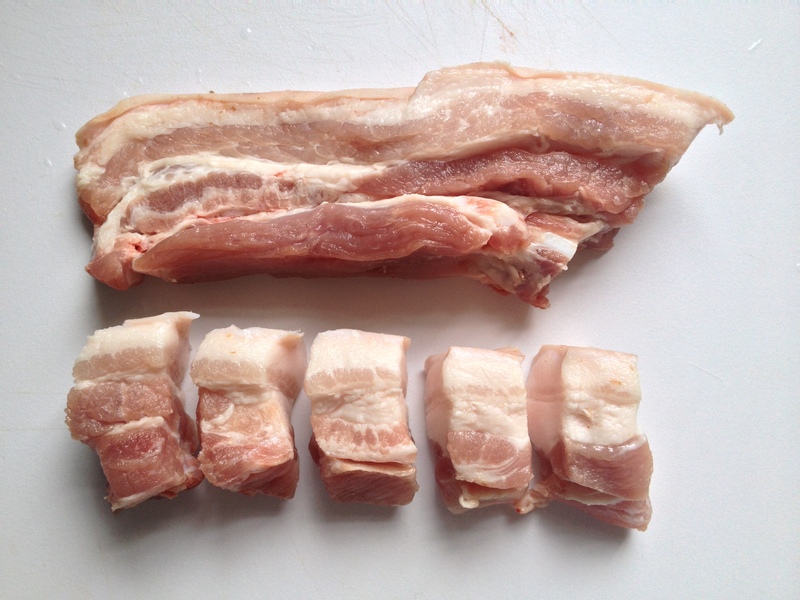 also, have your butcher cut up the pork belly, it’ll save you the trouble of chopping it up yourself. you can substitute rock sugar with brown sugar. white sugar isn’t ideal, but i’ll only use it if i’m completely out of the other choices and too damn lazy to walk down to the market. you want a caramel, molasses taste to the dish, and that’s something white sugar can’t offer. 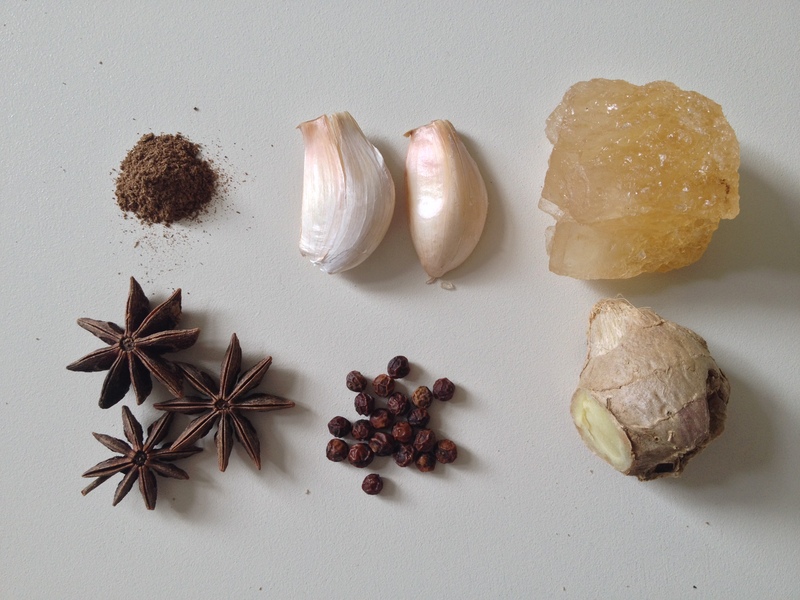 for an even more fragrant twist to the dish, add a teaspoon of 5-spice. it’s like giving the pork an aromatic roundhouse kick! if you are yearning for some veggies in the dish, go for shanghai bok choy which is good for braising and has a grassy sweetness that balances the richness of the pork belly. we love the sauce so much that we usually keep it for other dishes like chicken wings. make the most out of it! thanks the comment! you have a lot of great recipes yourself, very hearty! First off, let me explain that I am not kitchen-inclined. OK, I bake, but my husband does most dinners. I stumbled on your blog and this recipe today and WOW! I just had to go home and make it. And I did. And it was delicious. 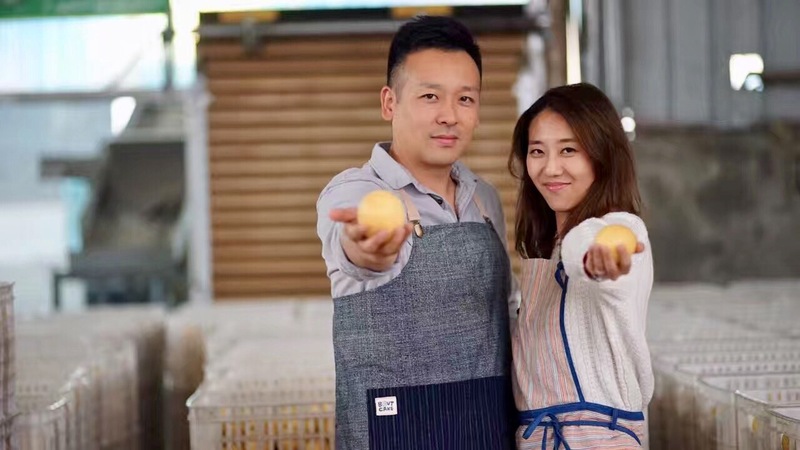 So easy (just takes a little time to cook). The flavors are aMAZing. We loved it. I am very proud of myself. Thank you guys. Maybe I’ll get some kitchen mojo after all. This looks good. I think I would use pork ribs instead because I have never had pork bellies. I would try this using baby back pork ribs. I have never had pork bellies. I don’t know if I would try them.